Prepare to be impressed by this stunning Renaissance beauty! The community is well known for its superb location in the heart of the Marina District. 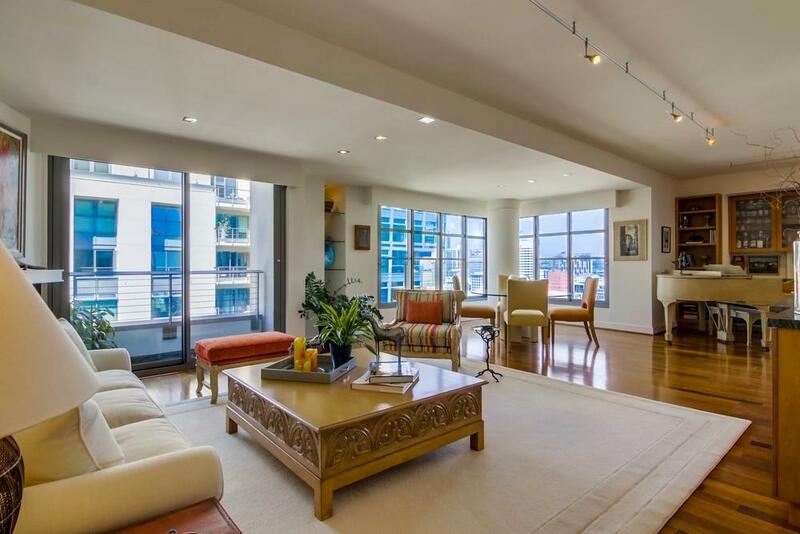 If you appreciate sophistication, luxury, location and space, your address is about to change! 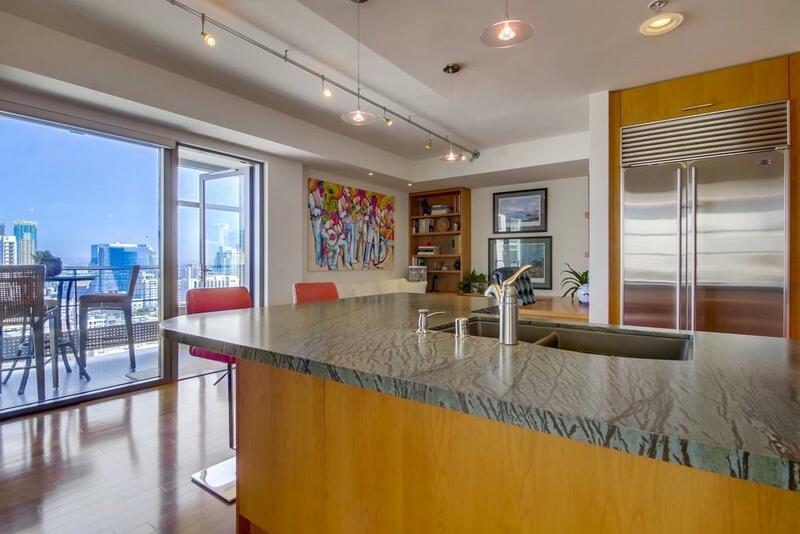 Enjoy expansive, dazzling, northeast views from this 20th-floor penthouse level residence. With over 2100 square feet, 9-foot ceilings and floor-to-ceiling windows, this impressive home is a perfect combination of sophistication and practicality! This well-appointed property has dual master suites with a split floor-plan to maximize privacy, family room, open kitchen and wonderful storage, which includes 3 walk-in closets. Hardwood floors grace the living areas, Carrara marble in the bathrooms, chef's kitchen equipped with a 5-burner gas cook-top, and beautiful soapstone counter-tops. Experience privacy from the large east-facing terrace and enjoy the breeze from the two north-facing balconies. The gas fireplace is the centerpiece of the open living/dining area, providing warmth and comfort. The solarium windows and balconies provide fresh air, natural sunlight and spectacular views. Custom built-in book cases, desk, wine bar and buffet all enhance the space and provide function. The guest suite features a built-in Murphy bed system, allowing flexible living. Only 4 units are located on the 20th penthouse level. This unit also features two separate, non-tandem parking spaces and two storage units. 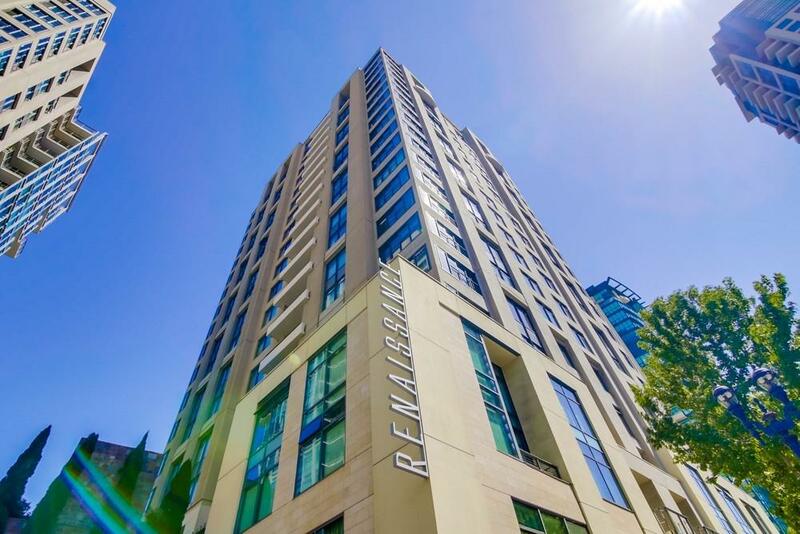 Renaissance common areas include a heated pool, spa, community lounge with full kitchen for gatherings and events, 24-hour concierge, well-equipped fitness center, and meeting rooms. Enjoy the barbecue area and outdoor fire-pit with your guests. The Marina District is recognized as Downtown's premier residential area. 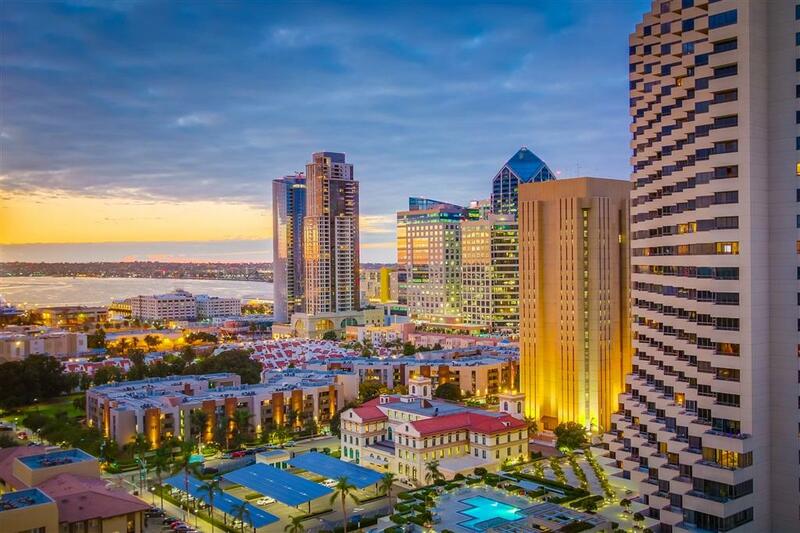 The ultimate San Diego lifestyle is at your doorstep, take advantage!